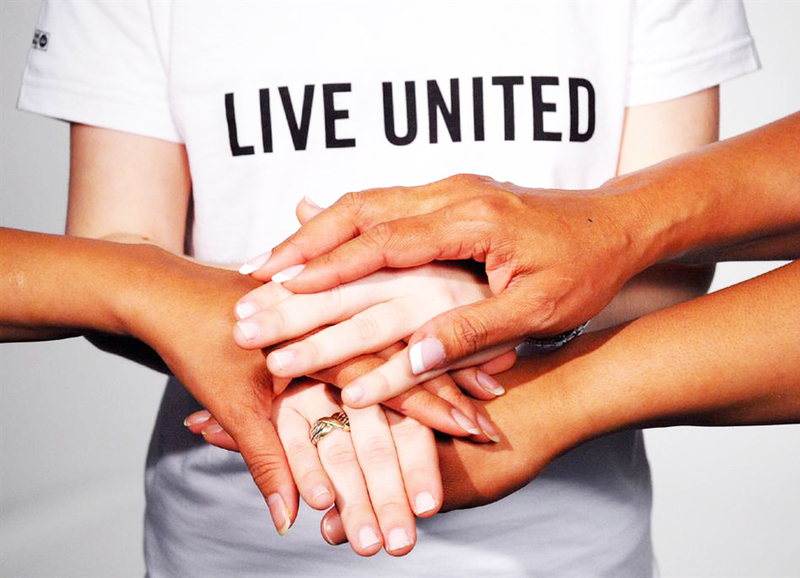 United Way ensures that the funds you entrust to us are invested wisely in programs county-wide. Our volunteer allocations teams review fundraising requests, conduct program site visits, evaluate program outcomes and ensure community needs are being met. We monitor all dollars granted, year round, to ensure your dollars are impacting our community. American Red Cross, Richland County Chapter: Disaster assistance; armed services; emergency services; blood services; health and safety; and volunteer services. We support their Service to Armed Forces, Disaster Relief and Volunteer Administration Programs. Catholic Charities: Serving those in need, following the example of those who fed the hungry, visited the sick and cared for the poor. We support their Community Emergency Services and Adult Advocacy Services Programs. Catalyst Life Services: Delivering quality comprehensive mental health, alcohol and drug services in a financially responsible manner. Providing persons with temporary or permanent disabilities an appropriate mix of outpatient rehabilitation services. We support many programs by Catalyst, including: Crisis Intervention for Adults, Prescription Special, Substance Abuse Treatment, Counseling for Adults/Mental Health Therapy, Crisis Intervention for Children, Substance Abuse Treatment/Education (New Beginnings), Rehabilitative Services/Audiology, Deaf Services, Employment Assistance for Hard to Place Individuals and Youth Transitional Development. Community Action for Capable Youth (CACY): Reducing and preventing the use of drugs and teaching negative consequences of such use; supporting youth by teaching and affirming the positive values of self-esteem and responsibility to the community. We support their Parenting, Positive Opportunities and Informed Teens Programs. Community Health Access Project (CHAP): Providing health and social prosperity in economically disadvantaged communities; provides prenatal care for young women in the inner city. We support their Health Related Pathways/Community HUB Program. Culliver Reading Center: Providing services to the children of Mansfield that will promote the healthy development of their spirits, talents, and intellects; assisting schools and parents by advocating, teaching and fostering the love of reading. We support their Learning for a Lifetime and Pyramids – Before & After School Learning Programs. Domestic Violence Shelter: Providing each family and/or individual with an alternative to domestic abuse or violence by having access to the Shelter and its resources. We support their 24-Hour Crisis Hotline, Crisis Shelter, Case Management and Family Development Outreach Programs. Friendly House: Meeting some of the recreational, informal educational and childcare needs of our immediate neighborhood and the community as a whole at a cost all can afford. We support their After School Nutrition, Transportation for After School, Happy Hollow Day Camp, Preschool/Daycare and Youth Crime/Delinquency Prevention Programs. Girl Scouts of Ohio’s Heartland Council: Inspiring girls with the highest ideals of character, conduct, patriotism, and service that they may become happy and resourceful citizens. We support their Leadership Experience, Leadership Experience at The Friendly House and Girls on the Go In-School Scouting Programs. Harmony House Homeless Services: Provision of emergency shelter and services for the homeless. To provide life-sustaining services for the homeless and to help them gain skills that will lead to employment and stable housing. We support their Homeless Shelter Program. Independent Living Center of North Central Ohio: Ensuring that individuals with disabilities are able to access all of the opportunities available in this area. We support their Direct Service, Emergency Medication/Shelter/Direct Services and Y-Not Programs. Mid-Ohio Youth Mentoring, Inc.: Making a positive difference in the lives of children and youth, primarily through a professionally supported one-to-one mentoring relationship with a caring adult. We support their Youth Mentoring Program. Parent Aide Program: Preventing the occurrence of child abuse/neglect by providing trained volunteers who educate in the parent’s home. We support the Parent Aide Program. Raemelton Therapeutic Equestrian Center: Providing a complete program through therapeutic horseback riding that touches the lives of physically and mentally disabled individuals. We support the Equine Based Therapy, Hooves for Heroes, Equine Employment, Veterans Employment and Children At Risk Equestrian (C.A.R.E.) Programs. Rotary Adult Daycare: Providing daily supervised activities to the elderly citizens of Richland County. We support the Adult Daycare Program. Salvation Army: Motivated by the love of God is providing help for today by meeting basic human needs and hope for tomorrow through education and life skill programs for children and adults. We support the Grocery Assistance, Free Food Distribution/Hot Meals, Financial Aid/Emergency Assistance and Dewald Center Learning Center Programs. Third Street Family Health Services:Providing services to residents of Richland County that have been unable to obtain primary health care due to financial hardships. We support their Primary Health Service – Underserved and Dental Programs. Visiting Nurse Association of Mid-Ohio: Providing innovative, high quality and cost effective community health care to all people by delivering care that promotes health, independence, and dignity. We support their Skilled Home Care Service Program.